Financial constraints and the need for financing is something almost every business encounters at some point. The first solutions we come up with are usually a bank loan or sales of shares. However, for most small and medium enterprises, a business loan in Singapore usually requires a corresponding asset collateral or guarantee, which makes it difficult to get a loan. Equity financing is usually not tenable for traditional SMEs not in the tech industry. Furthermore, fundraising is only getting more and more difficult with start-ups sprouting all over vying for a piece of the VC pie. However, your financing options are not limited to only banks and investment institutions. Other than bank loans and equity financing, there are many other creative options to get funding. 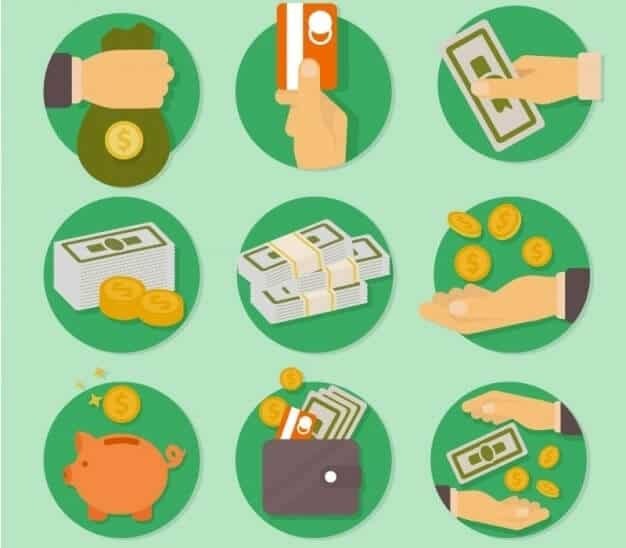 Below are 8 creative alternative funding options which provide companies with ample financing options, other than the most common bank loans and equity financing. A finance lease is the most common credit financing for sellers. It is usually used to purchase production equipment; using other people’s money to make a profit, and then use the profit to pay back the loan. There are commonly two types of finance leasing: Direct financing lease and sale-leaseback. After proper due diligence and research based on the lessee’s equipment purchasing plan, the lessor approves the application, signs the finance lease with lessee, sets up contract terms and clauses such as instalment plans, interests, duration, as well as default clause. After the contract is signed, the lessor starts contacting equipment manufacturers to order the equipment and make the down payment. Lessee uses the equipment to operate his or her business and generate income to make the installment payment. The lessor holds the ownership of the equipment until the installments are paid off; before that, the lessee only has the right to use it. Once all installments are paid off and the lease expires, the lessor transfer the ownership of the equipment to the lessee and terminate the lease. In certain lease arrangement, the lessor might still retain ownership of the equipment after end of lease. A sale-leaseback is an arrangement where the lessee sells an asset to the lessor, and then lease it from the lessor. Once the lease expires, the ownership of the asset would be transferred back to the lessee. Comparing to direct financing lease, the advantage of a sale-leaseback is that the lessee will have access to cash flow without affecting the production or operation of the company, which is why companies usually prefer a sale-leaseback. The finance leasing provides lessees with faster financing than the bank loan, with lower requirements on credits and guarantees for the lesser, which makes it ideal for SMEs. Furthermore, finance leasing is off-balance-sheet financing, so it is not included in the liability portion of the balance sheet. The difference between leasing and hire purchase is recognition of liability. However, the rental price tends to be quite high in finance leasing, which leads to higher costs for the lessee. Which is why it’s more suitable for projects with stable cash flow, such as infrastructure, healthcare, aviation industry. Yes, most business owners would not link the use of credit card as a form of alternative business financing. This used to be true as most business expenses are not payable via credit cards. The closest SMEs get to using credit cards as a form of financing and payment mode would at most be for entertainment expenses. Most SMEs owners usually charge their business related entertainment expenses like meals with clients etc to their personal credit cards. These expenses would then be claimed from company and reimbursed from company’s account, charged under entertainment. However, with the rapid scale of change and disruption brought upon by fintech, there are now solution that allows credit cards to be used for payments of business expenses. Fintech startups like Cardup allows businesses to use underutilized credit limit on either personal or corporate credit cards to pay for business expenses such as rental, suppliers payments and even staff salaries. Payments to suppliers can be paid using credit cards even if suppliers don’t accept credit card payments. Cardup has an unique proposition that business users can tap on by charging your credit card upfront on the invoiced amount of purchases from suppliers. They will then pay direct to your listed suppliers and you are billed the payable amount only when you receive your credit card statement. SMEs whom use Cardup’s solution can tap onto the underutilized limit in personal or corporate credit cards to make payments for intangible business costs like payroll and rental which are usually not able to be financed via traditional revolving bank credit facilities like trade financing. It’s also a smart way to book company expenses under credit cards to earn card issuing bank’s reward points, cash back or miles. With up to 55 days interest free period from point of card debiting to statement due date, companies can enjoy some credit terms from such payment arrangement. One innovative way to tap into this solution is to negotiate full payment of inventory/materials from suppliers in exchange for upfront discount on purchases. Most wholesale distributors or suppliers would probably be open to offer anything from 3% to 10% discount for payments made upfront instead of extending the typical 30 days credit terms. Say if a company is faced with a situation where it has no asset to pledge, with no stable clientele to guarantee a return on investment, but needs capital for equipment to expand production. When a company can’t obtain a loan with asset nor credit, but doesn’t want to sell equities, stock pledge is an option worth considering. Stock pledge refers to the transfer of stocks against a debt, in order to obtain funds from financial institutions. This type of financing has a higher requirement for the liquidity and pricing level of the stock, therefore is more commonly used by public companies. However, SMEs can also copy the model, using equity as a guarantee to obtain a loan or production equipment to expand the business and overcome capital shortage. After a negotiation, it is agreed upon that company A pledges a certain portion of stock (15%, for example), company B provides company A with 10 sets of production equipment, each set of equipment costs $500,000, the total amount of the loan is $5 million, inclusive of interest. Company A pledges 15% of its equity to company B, and it is agreed upon that company A will repay the loan in two instalments, $250,000 each, redeeming 5% of the equity. After a two-year term, the loan is paid off in full, company A redeems 10% of its equity back, and company B continues to hold 5% of company A as a shareholder. The implementation of this type of financing requires specific conditions. For example, company B must be confident in company A’s outlook and it’s business valuation. Through careful design and negotiation, stock pledge could be a brilliant financing method for slightly larger sized companies with proven track record to overcome a company’s capital shortage. Mezzanine financing is an innovation in the capital market, with characteristics similar to both debt and equity financing, its risk and return level is between equity financing and preferred debt. A mezzanine financing plan can be customized based on the needs of the company seeking capital, the ratio of debt and equity is very flexible, which helps companies restructure their capital. Common mezzanine financing includes preferred stock and convertible bond. Mezzanine Financing is a popular financing option in Pre-IPO financing. The company can choose to conduct a financing round first, and mezzanine financing would be a good choice; On one hand, it fixes the problem of a capital shortage, on another, it can improve the financial structure of the company. Furthermore, the fund raised can also prove that the company’s outlook is optimistic, and therefore be valued higher. Choose the time is right to file for IPO again, the market will value the company higher, which leads to higher IPO price, which then decreases the total cost of the financing. Project finance is the financing that is backed by the assets from the project, and paid back from the cash flow generated by the project. Both BOT (Build–operate–transfer) and PPP (public-private partnerships) are forms of project financing. The advantage is that it can attract investors with the stable, estimated future cashflow with no need for asset pledge. Additionally, the debt is off-balance-sheet for investors, which enables companies with limited capital to engage in more investment. Company A applies for BOT financing from banks for a highway infrastructure project to the government. The government approves the project. The government can either continue to charge a fee, or waive the highway fees for all vehicles. Due to the large scale of the investment and the long investment period, the structure of project financing is usually more complicated. It is generally used for financing large-scale infrastructure projects such as highways, airports and power plants. The advantage of this type of financing is that the government can complete large scale infrastructure project using capitals from the private sector, creating a win-win situation for both parties. This type of financing requires rigorous planning and operation, attracting investors with optimistic market outlook as well as attractive returns. Project financing are usually funded by several institutions syndicated together, with claims up to a specific amount of years of project proceeds, as well as several security measures to minimize the risks. A compensation barter trade is like paying back something using another thing else you borrow; which usually works like this: The upstream company (borrower) borrows from its downstream main clients (lender) to purchase production equipment, both parties agree that this loan will be paid back in the form of products from the production or other goods and services in a specific period. The coal mining company has already been authorized for the mining, but it lacks capital to purchase mining equipment, it then reaches out to its main client, a power plant, for a loan. Two parties sign an agreement of compensation trade, and agree that the effective coal rate is the lowest market rate, set up payment dates, as well as breach of contract clauses. The coal miner then purchases the mining equipment, paid by the power plant. After the production is completed, the coal miners can keep the equipment, paying back the loan using the previously agreed rates. Another offshoot of this financing type can also be seen in the service and telecom industry, such as the pre-paid cards sold at convenient stores, annual membership programs for online streaming services, membership packages with gyms and yoga classes etc. These for of prepayment financing are in fact a form of compensation trade, only it doesn’t pay back the advance payments with physical products, but with services that the customer can “draw down” on over a period of time. Developers in the real estate industry frequently finance their construction costs of property development with pre-sale of the development’s units to buyers. Before even spending a single cent to break ground, it’s common that the developers could have already collected 80% to even 100% of the development’s sales proceeds from preview sales. For small and medium technology companies, the stage where working capital is needed the most is not during the incubation of the technology, but the promotion and marketing of the product. Once you receive large orders, you will need capital to purchase production equipment. Even if you outsource the production, you will still need cashflow to purchase materials for production. This is a fragile stage of a company, there is usually not much asset to be pledged as collateral, and it’s almost impossible to get a SME loan from the banks. Additionally, equity financing would mean losing a substantial portion of the company. And this is when a small-medium sized company can consider Business Incubation as a mean to resolve the cashflow problem. A government agency or professional investment firms leads the way with its resources and reputation to create a business incubator. Company A has a new technology, but have yet to develop its market, hence this business incubator can provide support for business development and R&D phase. The government or investment company provides Company A with seed capital, affordable office, product promotion, guarantee for loans, networking introductions and general advice to help Company A develop its market and product. Company A receives payments from clients, and uses it to pay back the government or public company, as well as a business incubation management fee that was previously agreed upon, which could be structured as a form of profit-sharing. This type of funding requires strong backers and is suitable for companies that already have a MVP (minimal value proposition) in place with an initial small pool of paying customers, but lacks working capital. Through the integration of resources, this creates a win-win situation for both the small-medium seized company and the business incubator. Supply chain financing links various parties in a transaction together using technology-based platform and financing processes. Through linking the buyer, seller, and financing institutions together, the financing costs are reduced and business efficiency is improved. Financing usually comes in the form of short-term credit from the participating bank to the buyer that optimizes working capital for both the seller and the buyer. Supply Chain Finance (SCF) typically involves a technology platform where the entire process takes place, from automating transactions, invoicing, and settlement process. The increasingly complicated supply chain and globalization have been the main driver for SCF’s popularity, namely in the automotive, manufacturing, and retail sectors. SCF transactions includes extension of buyer’s account payable terms, inventory finance, and payables discounting. SCF connects financial transactions to value as the transactions move through supply chain, and encourages collaboration between the buyer and the seller, rather than competition against each other. Through these, SCF enhances working capital by factoring and payment discounting, which is where it differs from traditional supply chain program. For example, buyers typically would like to delay payment as long as possible, while the sellers typically seek to be paid as soon as possible; when a buyer has a better credit profile than the seller, and therefore has access to capital at a lower cost, the buyer then can leverage this to negotiate better payment terms, such as an extension, which allows the buyer to use the cash on something else. The seller on the other hand, receives access to cheaper capital, while still having the option to receive immediate payment. Buyer purchases goods from Supplier. Supplier delivers the goods and invoices Buyer, which Buyer approves on standard credit term, 30-day. If Supplier requires the payment before the 30-day credit term, it can request immediate payment at a discount from the financial institution in this SCF chain, given that the invoice was approved by Buyer. Buyer may extend its credit term for an additional 30-day from its financial institution, which makes it 60-day in total. The financial institutions engaged in this type of financing typically has a pre-screened approved list of suppliers that they work with. Again, this form of financing is not common in Singapore although there are banks offering this facility to SMEs. In addition to the different financing options mentioned above, companies can also choose credit guarantee, P2P crowdfunding, profit sharing, and many other types of creative financing methods. The risks tolerance and costs determine the financing method, but fundamentally, every financing option involves equity and/or debt. Companies should be flexible and smart about the financing options to select the most suitable financing option to inject cash-flow into the company.